It will set all the selected browsers as a default one, as shown in the below screenshot. 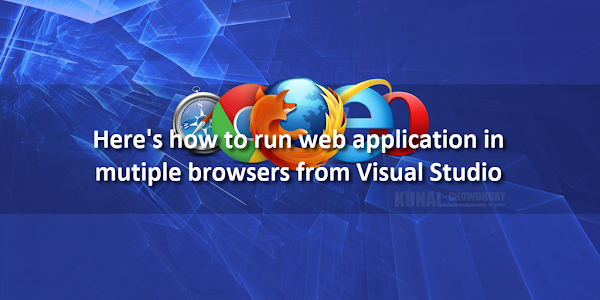 Now, when you click 'Browse' or run your web application from that Visual Studio instance, you will notice that the application launches in all the browsers that you have selected in previous screen. 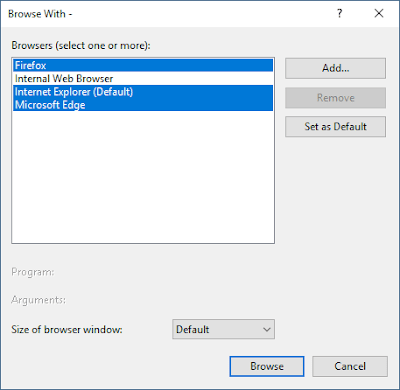 In this case, when you click the arrow-head as shown below, you will notice that the selection is now changed to 'Multiple Browsers' instead of the browser that you selected. 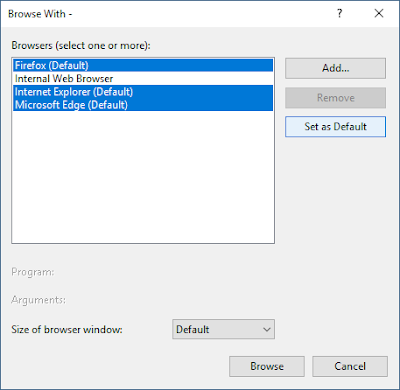 When multiple browsers are set as default one, you can debug in only one browser. But, if you press Ctrl + F5, it will launch all of them. 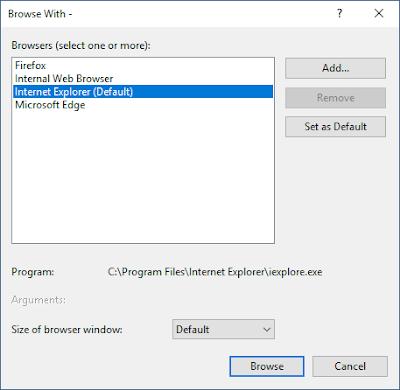 If you have come this far, it means that you liked what you are reading (Here's how to run web application in multiple browsers from Visual Studio).